We passionately strive to provide each patient with the highest possible standard of veterinary care. We combine cutting edge technology and medical information with compassion and genuine concern for each patient. At Family PetCare, you can expect state of the art medical care for your four-legged companions. We believe in nurturing the human-animal bond and creating a harmonious relationship between people and animals. At Family PetCare, we offer a variety of services to care for your pet. 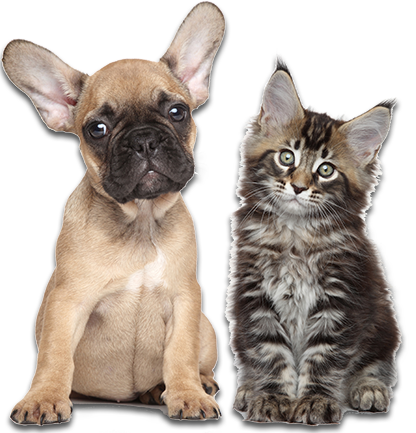 If you have any questions or would like more information on how we can care for your pet, please contact us today. We will do our best to accommodate your busy schedule. Schedule an appointment today! Please complete this form to request an appointment. Family PetCare is proud to serve Fort Worth, TX and surrounding areas. We are dedicated to providing the highest level of veterinary medicine along with friendly, compassionate service. We believe in treating every patient as if they were our own pet, and giving them the same loving attention and care. We are a group of highly trained, experienced animal lovers who are devoted to giving our patients the best care possible. If you have any questions about how we can care for your pet, please don’t hesitate to call us at (817) 451-7387. Thank you! Not just a vet, they really care about there animals, and the animals owners. They did everything for our baby ringo, and called every day to check on him. I will continue to be a faithful client. The best vet I have ever been to! They literally saved my kitten a year ago and last night they got my dog in even though they were very full. They are kind and understanding and they take the time to explain everything that is going on with your pet! Thank you so much Family pet care for taking such good care of my pets and giving me peace of mind. I have been taking my baby girl precious to them for over two years now and they are all very nice and Mrs Jenny there is really sweet to her when she grooms her. Thank you so very much for all the hard work you do!